Our employees are professional, on time, and courteous. In addition to stellar service we maintain affordable pricing, accurate timelines, and a commitment to helping our customers during their move. 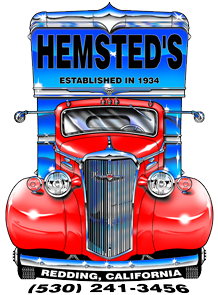 So if you are planning a move and want to make sure that you keep your sanity then call Hemsted’s Moving and Storage, Redding CA at (800) 392-2729 today. You’ll be certain to get qualified, respectable movers. Make your busy schedule less chaotic by having us pack and store your precious belongings. Don’t risk damaging your property by moving it yourself. Leave it to the pros.